This potato was developed in Holland in the early 1900’s. It is oval shaped, with light yellow flesh. 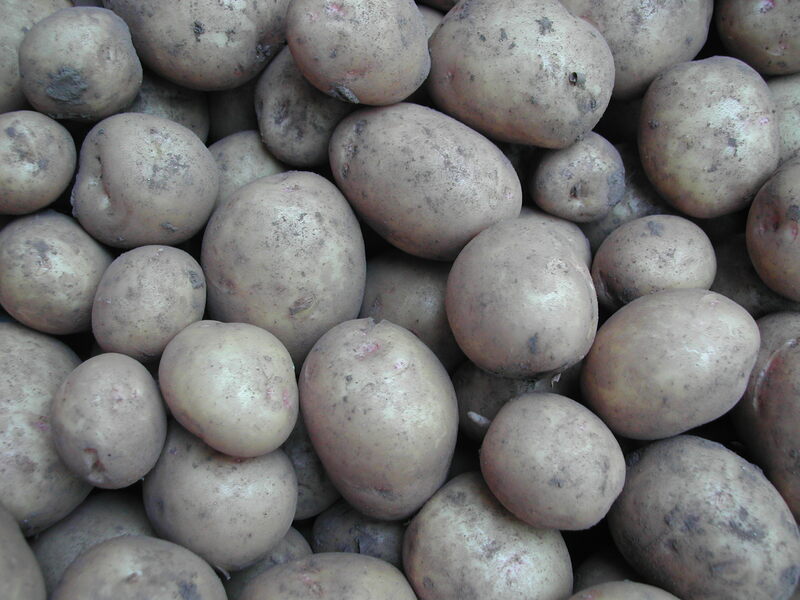 It is a multi-purpose potato, good for roasting, baking, boiling, salads and especially chips. Some say it has a nutty flavor. 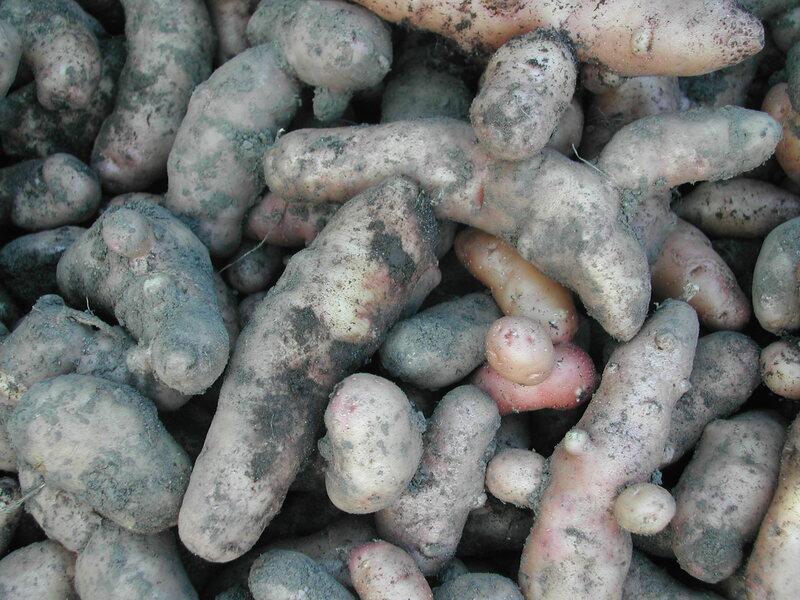 Rose Finn Apple is an heirloom fingerling potato from the Andes Mountains. It has rosy-yellow skin and yellow flesh. The shape is long and slender, though mine have quite a bit of second growth: airplane growth, as one seed catalog calls it. They look like they have knobs or second potatoes growing out of the main part. 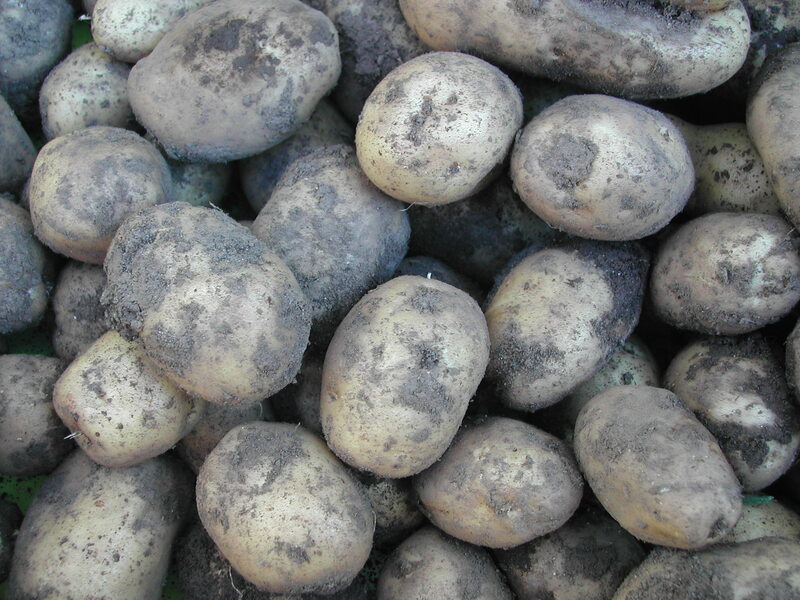 These potatoes are good for roasting, sauteing, deep frying and boiling (think salads). A smooth, round potato, with yellow skin and flesh. It has pink coloring around its eyes. It is excellent for baking, boiling, salads or fries, but does not do well as hash browns (too moist).